Returning to work after taking time off to care for young children or ill family members can be a challenge. Things may have changed in your field during your time away from the workplace. If you neglected to keep your skills and knowledge current, it might be difficult to find a job now that you are ready to restart your career. Many employers are reluctant to hire applicants whose resumes show lengthy employment gaps even when you can easily explain them. A returnship can provide a solution to these problems. Returnships are adult internships that are specifically geared toward experienced professionals who are re-entering the workforce after an extended absence. Participants typically include parents who have taken a career break for caregiving, but retired military or those who have been out of work because of a temporary illness should also consider these programs. Most returnships are short-term, typically lasting for a finite amount of time ranging from 10 to 16 weeks. Most pay a salary or stipend. They are available in a variety of occupations including, but not limited to, engineering, marketing, finance, law, sales, and technology. Participants in a returnship can expect to work regular hours doing work similar to what they would have been doing at the same point in their career had they not taken a hiatus. iRelaunch, a company that specializes in career re-entry, reports they have identified over 80 companies around the world with paid returnships. This estimate only includes formal programs. Returnees to the workforce can make informal arrangements as well. During your career break, you may not have given much thought to your career. After all, you were busy tending to other things, which is why you took time off in the first place. During your hiatus, there may have been significant changes in your line of work. Technology is continually evolving and, even if your occupation isn't tech-based, these changes are likely to have had a significant impact on it. Additionally, your old skills may have become a bit rusty from lack of use. Doing a returnship will allow you to identify the skills that are currently essential to the career you are trying to re-enter. Some may be transferable skills acquired through prior experience and others may be entirely new. This experience presents an opportunity to sharpen your old skills and learn new ones. According to reporter Rebecca Jarvis in a story about returnships on Good Morning America, if you couple acquiring those hard skills with soft skills such as communication skills, you will be an in-demand job candidate (Jarvis, Rebecca. How a Returnship Can Boost Your Career (video). Good Morning America. August 14, 2018). A returnship can also open the door to permanent employment, according to Jarvis. Participants have a 50 to 100 percent chance of getting hired full-time once their returnship ends. To increase your chances, she suggests "going above and beyond" while you are there. Returnships also serve another purpose, as do regular internships done by college students or recent graduates. They can help you define—or redefine—your goals. You can decide what trajectory your career should take, or perhaps even choose a different path if this one is no longer appealing. Path Forward, a non-profit organization that helps companies create and run internships for individuals who have taken time off to be caregivers and are re-entering the workforce, lists returnships on its website. They work with employers in San Francisco, Colorado, LA, and New York, and New Jersey. Programs are 16 weeks long. Participants must have taken at least 2 years off from work to be a caregiver and have at least five years of professional experience. 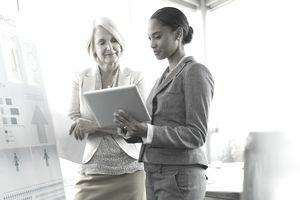 The organizations’ list of 32 partnering employers includes Walmart, Verizon, NBC Universal, Oracle Data Cloud, Cloudier, Intuit, Udemy, and Campbell’s. iRelaunch, in addition to offering for-fee services for individuals who need help relaunching their careers, also provides a free listing of returnships on the company’s website. These opportunities are in a variety of fields like STEM, education, legal, medical, and non-profit. You can also use job search websites such as Indeed.com and LinkedIn to search for opportunities. Jarvis, in her report on Good Morning America, advised those seeking workplace reentry to ask employers if they offer returnships since many do. Networking is also essential when it comes to looking for these opportunities. If you did not keep your network alive during your career break, this is a good time to reactivate it.